Chealsey Lee lives with her human, Mim, and her 'big brother' Shadow the GSD. 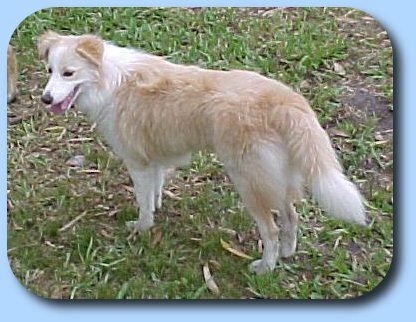 Chealsey's speciality was always tracking, but she was also always good with her obedience and agility and jumping. Chealsey is the first Atchafalaya dog to make it right through to tracking champion, which was a result of a lot of dedication from her handler, Mim. 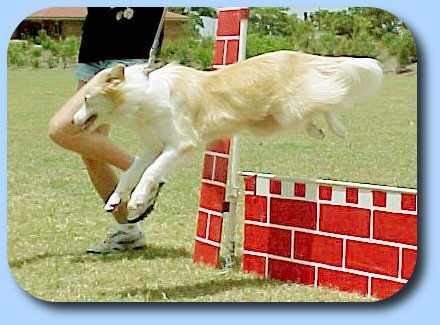 Chealsey practicing her jumps, still set low since she was not mature at this stage. It was another 6 months before she could compete.